It’s easier than you might think to find the best coffee for the Ninja Coffee Bar. There are only a few things to keep in mind when you’re shopping. What Are Your Everyday Coffee Preferences? Can You Use Pods or K-Cups? First, there are a few things you need to figure out about your preferences. Then there are the practical things, like the type of grind you need to use and whether you can use pods or capsules (spoiler alert: you can’t). You may want to keep more than one type of coffee around if you like to drink lattes, cappuccinos, iced coffee, and/or blended frozen drinks almost as often as you drink regular coffee. Bolder, darker roasts perform well in drinks you’ll be adding milk and/or flavor to, while medium and lighter roasts could be more difficult to detect and enjoy through the add-ins. That’s not to say that it could never work, but it’s something to consider if you’re just getting started making a variety of drinks at home. If you like a rich, bold black of coffee in the morning—whether you add any cream and sugar to it or not—you might be able to get by with one big bag of coffee that will work across the board. In general, if you drink your coffee black and don’t plan to use the specialty features all that often, you can go with the lightest roast you can find and still be okay, assuming that’s what you normally enjoy. I personally prefer to keep a medium roast around. To me, medium roasts are great black or with a little half and half. But if I get the impulse, I can make just about anything with it and be satisfied, even if it isn’t “perfect.” The coffee flavor will be less pronounced and rich in this case, but not as bad as it would be without that “Specialty Brew” button. That bumps the intensity up. Then if you’re having company over or the right season rolls around (I love cappuccinos in the fall and winter and usually stick with regular coffee during the spring and summer, for example), you can pick up a bag of something darker. Love for your afternoon pick-me-up to be a caramel latte but like to wake up with the sun and a bright, almost citrusy cup of joe? Keep two different types of beans on hand. Keep reading for specific recommendations for specific preferences. Go for a medium grind at the store or cafe if you aren’t getting whole beans to grind yourself. In most cases, whatever you pick up at the grocery store for your average auto-drip coffee maker will be fine. If the beans are too finely ground (think espresso grind), your filter will get clogged and your pot of coffee will suffer. Your counter may suffer, too, depending on how bad the clog gets. Nobody wants to clean up a mess before they’ve had their coffee, so make sure the coffee is ground coarsely enough. Nope! But this is a good thing. This means you can get all those fancy coffee shop beverages for less. Using ground coffee is much less expensive than picking up pre-packaged coffee for specific cups or pots of coffee. This also gives you creative control (want to add spices to the grounds? Go ahead!) and lets you switch up the strength when you want to. You can also use any coffee you want, and not all coffees come in K-cup or pod form. 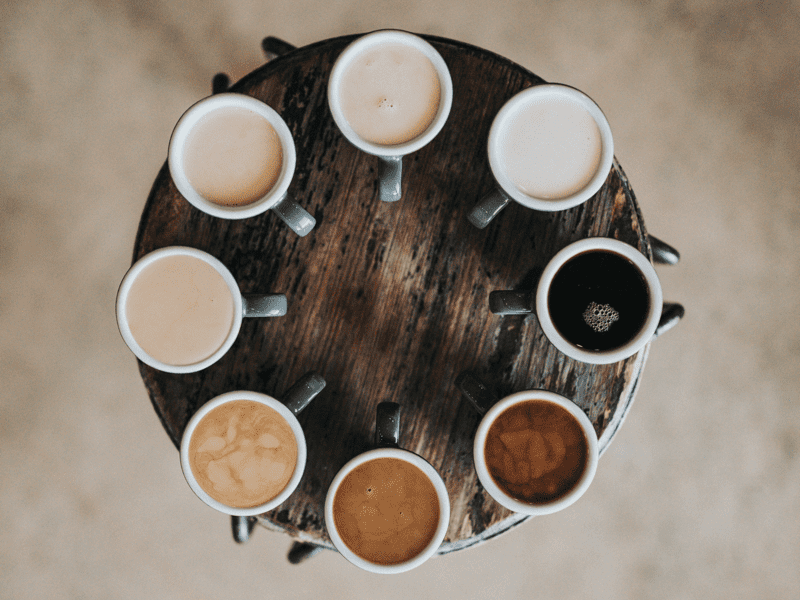 When you’re wondering how to find the best coffee for the Ninja Coffee Bar, you’ll need to break it down to how you take your coffee and whether you’re interested in having more than one option hanging around the kitchen. 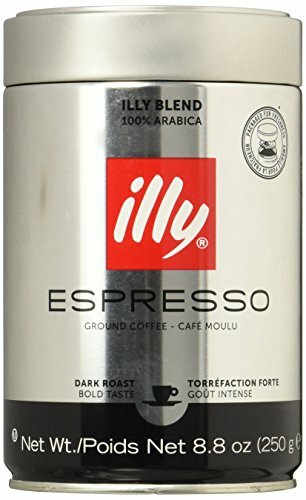 Illy Espresso Dark Roast Ground Coffee (about $14.00 for an 8oz. can), which you’ll need to use a paper filter for. Take the permanent filter out because this one is ground too fine. Despite that minor inconvenience, this one’s worth a mention because it’s so dark and has notes of cocoa that will play well with add-ins. Another option for this one is to get the beans whole and grind them yourself. 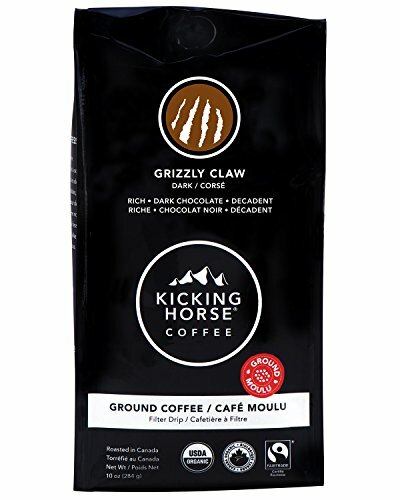 Kicking Horse Coffee’s Grizzly Claw Ground Coffee (about $11.00 for 10 oz.) is another great choice. It’s rich, dark, and has notes of cacao, brown sugar, and roasted hazelnuts. This Central and South American blend is another one that can stand up to milk and sweeteners, especially when it’s used in combination with the Specialty Brew function. Depending on your preferences, you may enjoy this one as your regular morning coffee, too. 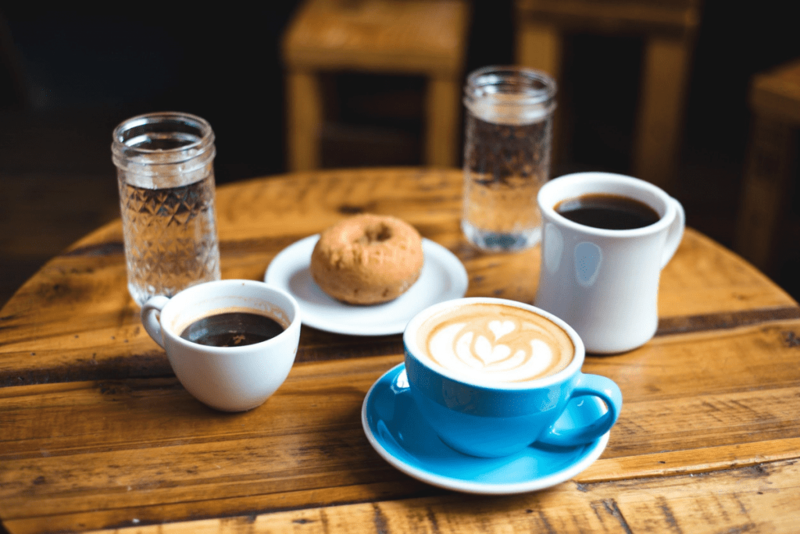 In this case, simply finding what you just like the most in any kind of coffee maker or from any café is your answer to how to find the best coffee for the Ninja coffee bar. Love the lighter roast at the coffee shop around the corner? See if they sell bags of it there or can tell you where to get one. As long as you’re keeping up with the Ninja Coffee Bar’s recommended cleaning cycle (don’t worry, it’ll remind you), you should enjoy your newly acquired bag of your favorite coffee at home. 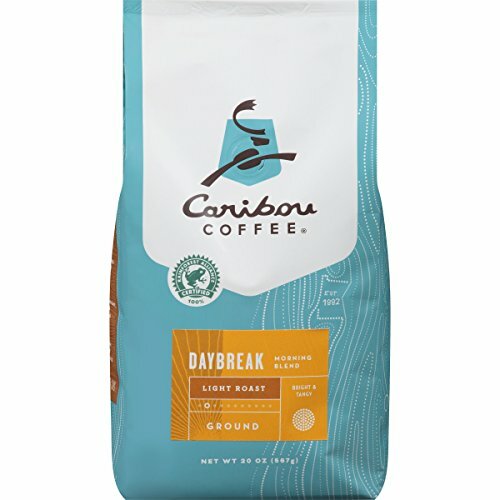 Caribou Coffee’s Daybreak Blend (about $12.00/lb), which is citrusy and bright and balanced out by a nutty flavor and a hint of sweetness. It’s perfect for starting out the day when you don’t want anything too complicated. This blend is made from beans grown in the Americas and East Africa. The nuances of flavor would likely get lost in a specialty drink, but it’s delicious on its own. 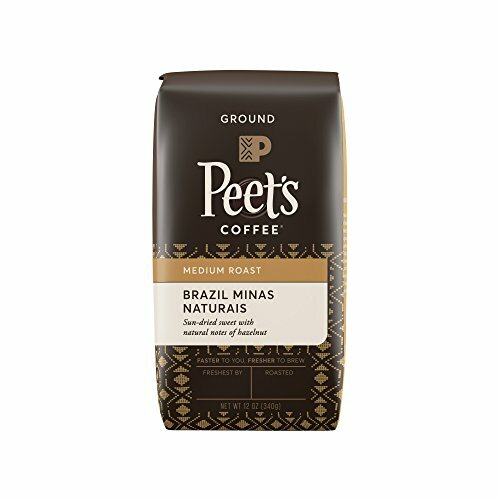 Peet’s Coffee’s Brazil Minas Naturais, which is a medium roast, full-bodied coffee from Brazil. It’s smooth enough to be good iced with nothing added, but strong enough to hold its own against sugar, ice, and milk. Get a 12-oz. bag of it online or at the grocery store for around $11.00. 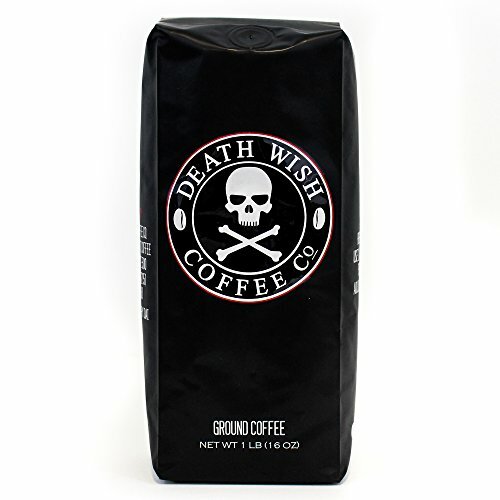 If you like your blended drinks to still have a strong coffee flavor and a hefty dose of caffeine, try Death Wish Coffee Co., the world’s strongest coffee (around $20.00 for a 1-lb. bag). It even comes with a risk-free money-back guarantee in case you don’t love it. If you already have an espresso roast or French roast on hand, you can use that too. This works vice-versa, too. You could try these iced/blended recommendations in your cappuccinos and lattes. Volcanica Coffee’s Mocha Java (about $20.00 for 16 oz. ), which is a “winy Yemen Mocha coffee” coupled with a “full-bodied, spicy coffee from Java.” Because it’s roasted when you place your order, it will always show up at your door relatively fresh. It’s a medium roast and the combination of coffees in this blend will make for an exquisite mouthfeel if you decide to drink it black. The strength and chocolate undertones make it work well in just about any coffee drink, though. Black Rifle Coffee’s Beyond Black, with its dark, smoky flavor ($12.50 for a 12 oz. bag). This is made from Colombian Excelso beans, and reviewers say it’s smooth, creamy, and balanced. You could make just about anything with it, from your regular cup of hot coffee to a blended drink. Experiment as much as you like. 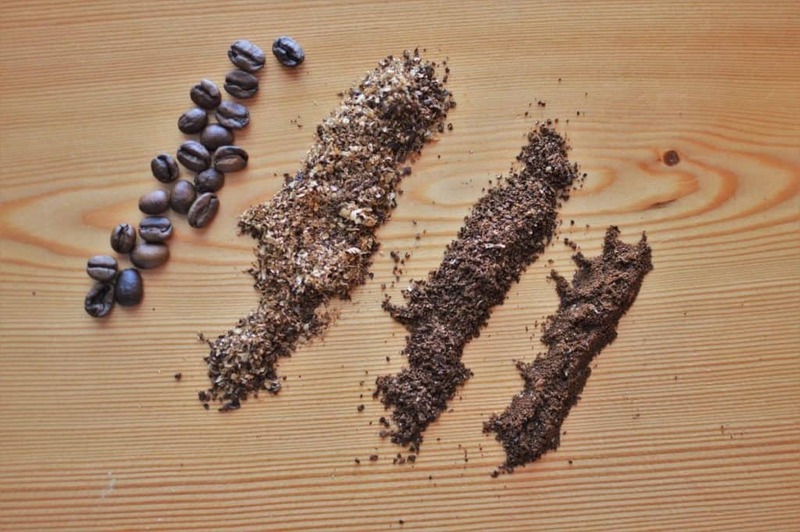 As long as you have the right grind, you’ll be able to make adjustments as you go and find out not just which coffee you like, but how you like it (rich brew or classic, for example, or café forte). The only other guideline is: the more you plan to add to your coffee, the darker the roast should be. Have fun and enjoy your Ninja Coffee Bar and all of the creations you can make!